A True Story Challenging Those Who Doubt and Encouraging Those Who Believe. "I believe God will use Karen's story mightily to transform broken lives and to help the rest of us realize how truly blessed we are not to have suffered as Karen did." First Place 4 Health National Director"
"What a touching triumph over a difficult childhood. Karen's raw and honest voice immediately draws us into her life. What a tribute to her inner strength to acknowledge her past and use it as a tool to help others who have also been victims of childhood abuse and neglect." Director, Child Advocates of Fort Bend"
It begins with Karen's reality: "Bad as home was, I always wanted to go back there, 'cause I belonged " "Home" is an isolated Appalachian barn where poverty, neglect, and abuse go unseen until the children (twelve) reach school age. 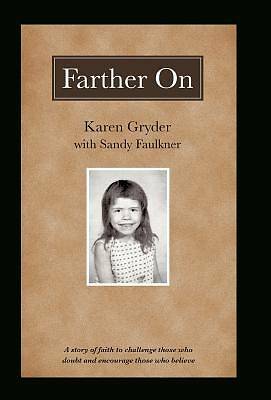 At age five and deathly ill from parasites, Karen watches from the welfare agents' back seat as her hysterical mom's image gets smaller while the car speeds away. Terrified, yet determined, she remembers their route; she will get back home. Orphanage memories are horrific, but she thanks God for tricycles and popsicles (her first). Gossip has it the town prostitutes ratted on the family's health. Moving from hating these women to seeing how God uses them to protect the kids is the beginning of Karen's faith. Running from welfare, moving constantly, Karen knows she's the dirtiest, poorest kid in school. Scenarios change, but chaotic, frightening themes of fear, hunger, abuse and peer ridicule repeat. Then, at age sixteen, Karen senses hope when she marries Terry and prepares her first home, a $4000 trailer, for their child. Could this be stability? If only Hard work, little pay, parenting and marriage stresses become overwhelming. Acts of ministry from Karen's home church sustain her until a new devastating challenge surfaces: providing for her children, extended family, and husband, Terry, who now has a life-threatening illness. Can she manage this trial? Can she preserve?